“Warning: This is an extremely complicated recipe. Enter only if your skill level in the kitchen is very advanced. You have to forage for native-grown pistachios, then brine them and extract the nutmeat from the shells at just the right time. 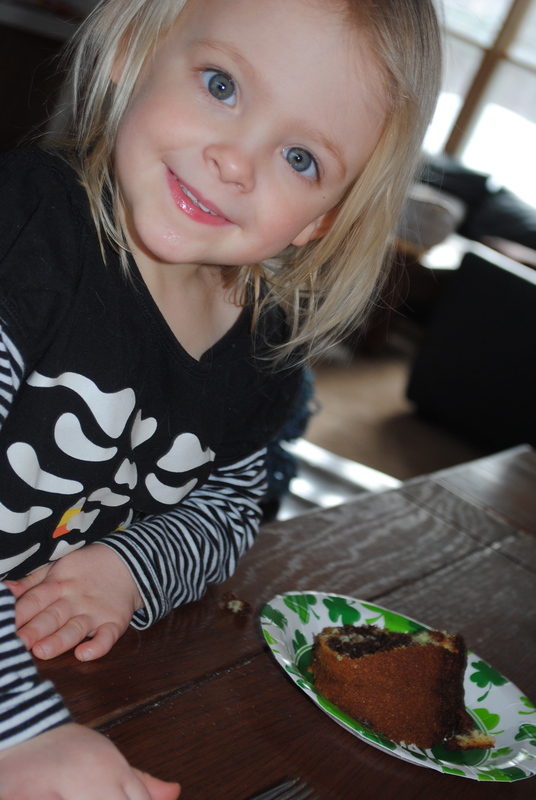 After that, you have to go through a lengthy process of drawing out the natural oils from the pistachios, which you’ll add to the cake, then rub on your wrist for good luck. The truth is, this is a super easy recipe that takes so little work you will have plenty of time to paint your nails, sort your socks and watch some funny youtube videos. 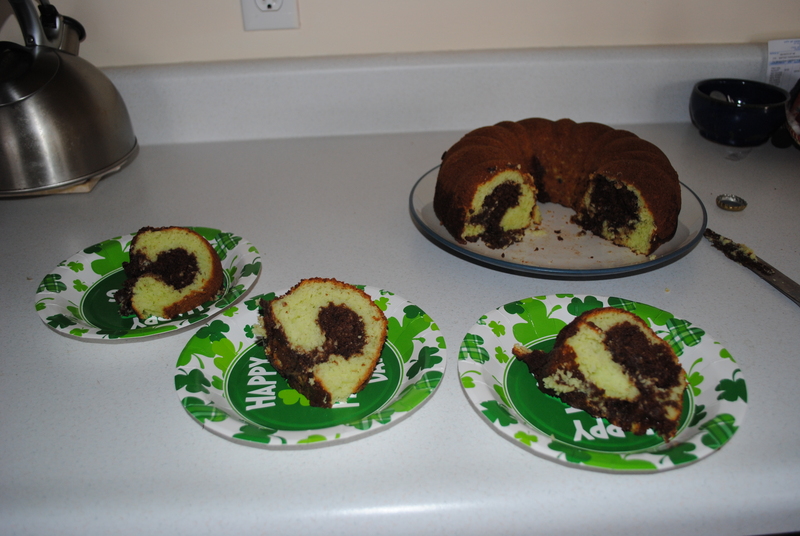 I made this cake on St Patty’s Day, since it is green from the pistachio flavor and not just food coloring. I’m sure there is a much more tasty and impressive recipe than this one, but oh well. There is always next year. right? 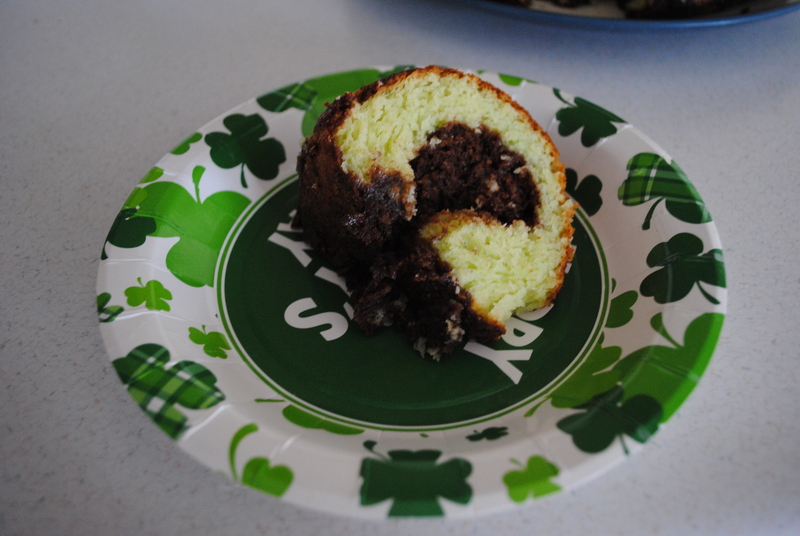 You can always make this cake but be sure to whip this out next year for your favorite Irish holiday.